Motorcycles of the old clock?Until recently, the clock used for timing. Motorcycles of the old clock? 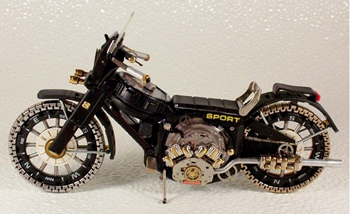 To create a mini-bike takes about 50 hours time. One such model is about 300 pounds. As you can see, for a creative person, even a broken clock can be a source of inspiration. Khristenko sees them not only as a symbol of time, but as a creative material. 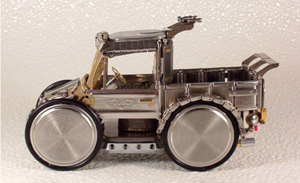 In addition to motorcycles, it also has a series devoted to insects – The Time Machine and Steampunk Clockpunk Mechanical Bugs. 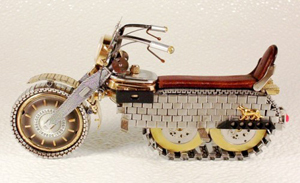 If your have a broken clock, take the time to throw away: the creativity of them can get a little ping-Harley-Davidson!